In retrospect, it was bound to happen. I have worked at a knitting shop, sometimes literally up to my elbows in Koigu, for many years. I held out as long as humanly possible, but the flesh is weak. It started this last winter. Indeed, winter is an excellent time for epidemics to strike, and this was no exception. It all began when one of my coworkers knitted the Charlotte’s Web shawl. It turned out so beautifully, and she enjoyed knitting it so much, that she decided to make another one. Her second shawl was finished in no time, even with the addition of beads, at which point she decided to teach a class on the shawl. Before I knew it, I was engulfed in a swirling vortex of Koigu. Students were knitting it, my other two coworkers were knitting it, and every day I would stare at the Koigu wall with increased longing, telling myself that I already had enough projects to knit, that I needed more yarn like I needed another hole in the head. Of course, all of those arguments were completely futile. 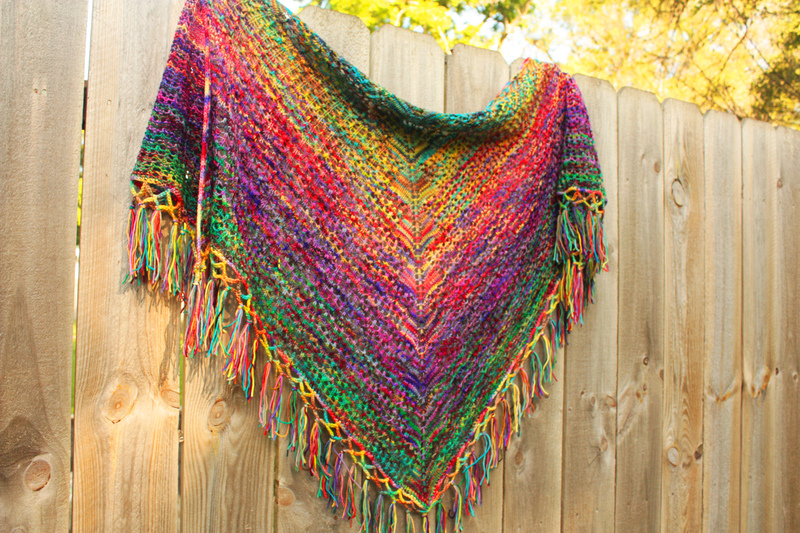 I knew I had to knit the shawl, and I also knew that once I started knitting with Koigu, I wouldn’t be able to stop. I now know that I wasn’t entirely to blame for my deranged thought processes. I finally realized that things were getting critical when my boss succumbed to what we at the shop have affectionately nicknamed “the Koigu virus.” One Saturday, without a hint of warning, he walked over to the Koigu wall, picked out a few colors, and announced his intention of designing a baby blanket. You could have knocked me over with a feather. That was the point at which I began to wonder if maybe they really did put something in the yarn–something undetectable to drug-sniffing dogs at the border checkpoints, but not to knitters (perhaps absorbed through the fingertips…). Who knows? 1) You find yourself inexplicably drawn to the Koigu wall at your local yarn store. 2) You spot a lovely color of Koigu and are unable to dislodge it from your thoughts. It haunts your every waking moment. 3) You begin trawling the Internet for patterns that you could use to knit the color of Koigu that’s taking over your mind. 4) You tell yourself that you’re just going to make one project out of it, and then you’ll move on to another yarn. 5) While knitting your first and only Koigu project, you realize that you will have leftovers, and decide to buy a complementary color for a second project that will use two colors of Koigu. 6) You fail to find a pattern that fulfills your need to explore and embrace all of the wonderful color possibilities that Koigu has to offer, so you begin to design your own. 7) You wake up one day and find yourself surrounded by skeins upon skeins of Koigu, with no clear recollection of how they got there. 8) You decide to visit your local yarn store for some retail therapy, at which point you are drawn to the Koigu wall like a moth to a flame. After all, nothing goes with Koigu like more Koigu! Love your colour choices… can you tell me which ones you chose? Thanks! I don’t remember the exact order, but my colors were 518, 541, 210X, 869, & 162.